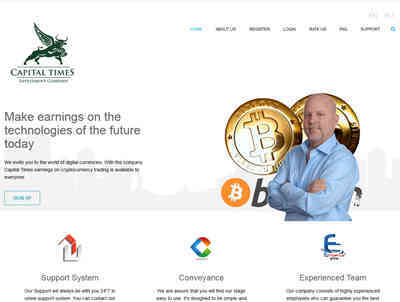 Capital Times is a British company that has official state registration and it fully complies with financial and international legislation. Our business has the legal basis confirmed with the British registration, and we're a subject of business activity of Great Britain in accordance with general practice. The company is registered with the United Kingdom Companies House, under number 11095329. The head office is located at the following address: 80, Cannon Street, London, EC4N 6AE, UNITED KINGDOM Mr. Brayden Sani is our founder and CEO.